Radium 150W Improve coral and fish environments with aesthetically pleasing and fu..
Radium 250W Improve coral and fish environments with aesthetically pleasing and fu..
Radium 400W Improve coral and fish environments with aesthetically pleasing and fu..
XM 150W 20,000k The XM 20,000K is the preferred lamp of many well known coral farmers a.. 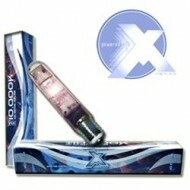 The XM 10,000K is crisp white in color and is designed to simulate sunlight at shallow depths in .. The XM 15,000K is the result of extensive research and development. The 15,000K is designed to pr..
XM 400W 20,000k The XM 20,000K is the preferred lamp of many well known coral farmers a..